David Douglas senior Esad Salihovic made a run down the left side only to be tackled from behind as he neared the goal. The whistle sounded, and Salihovic beat the goalie to the left side with a low roller to put the Scots' in charge 2-0 with five minutes to play. David Douglas coach Logan Marquardt knew better. "You know a push is coming — they have to throw everything they have at you," Marquardt said. "I knew that last five minutes was going to be the toughest part of the game." 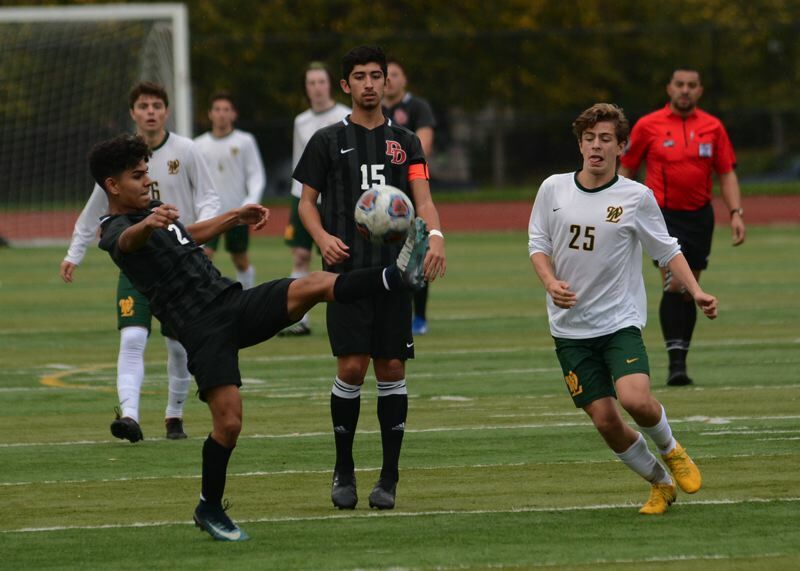 West Linn needed less than a minute to put itself onto the scoreboard with rookie Owen Caba connecting on a sidewinder at the near post off a corner kick. The Lions were back on the hunt for the equalizer, forcing David Douglas goalie Andy Borbon to make three stops down the stretch. 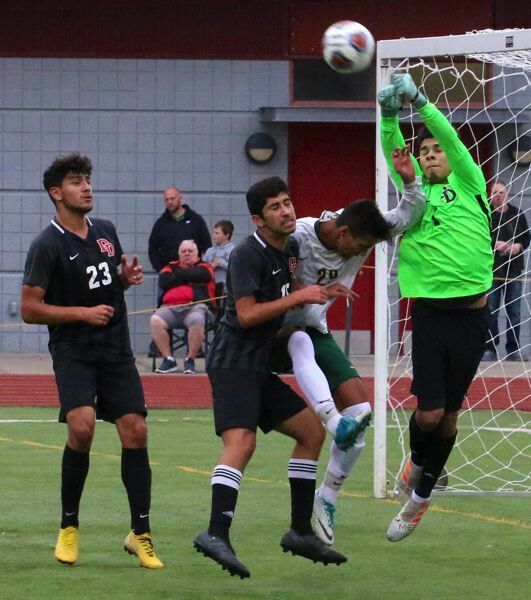 The most difficult came with 2:20 to play when West Linn's Luke Tinsley got on the other end of a free kick and popped a high ball on frame that sent Borbon flying. He reached across his body and over his head to tap the ball away. "These guys wanted it, but it just wasn't there for us," West Linn coach Travis Roth said. "Sometimes the ball doesn't bounce your way in soccer." David Douglas held the advantage most of the way after Isaac Rangel Villafuerte scored midway through the first half. David Douglas (13-2-2) advances to play at Summit (17-0-0) in Tuesday's semifinals.